When you feel the need for speed, you’ll want to get yourself and your crew into a sport boat like our Sea Ray, Regal or Blue Water. 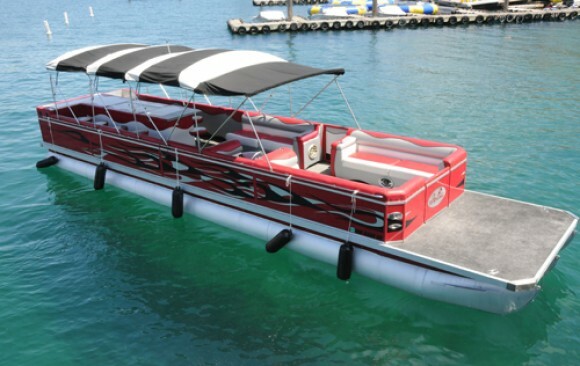 But sometimes you may want to entertain a larger group in a more relaxed atmosphere, and that’s when our fleet of Razor pontoon boats is just the thing. 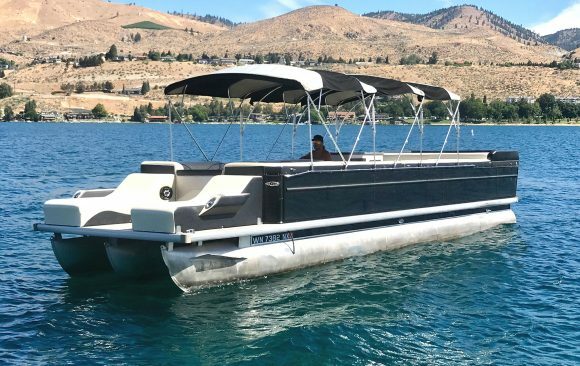 Powerful enough for watersports but optimized for lounging and cruising, these 25 foot, 14-passenger pontoon boats are sporty, fun, and ready to roll. 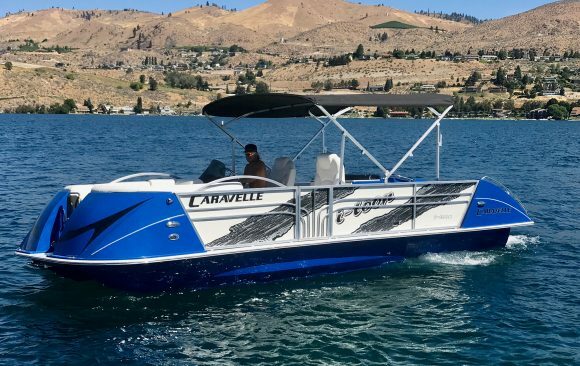 Getting out on the water is as simple as punching in “pontoon rentals near me,” and our friendly, professional staff puts us on top when it comes to Lake Chelan pontoon boat rentals. A mid-century contribution from Minnesota, the “Land of 10,000 Lakes,” the pontoon boat employs two sturdy “tubes”—the pontoons—instead of a conventional boat-shaped hull. They’re easy to pilot, stable and safe, making them ideal lake runabouts. 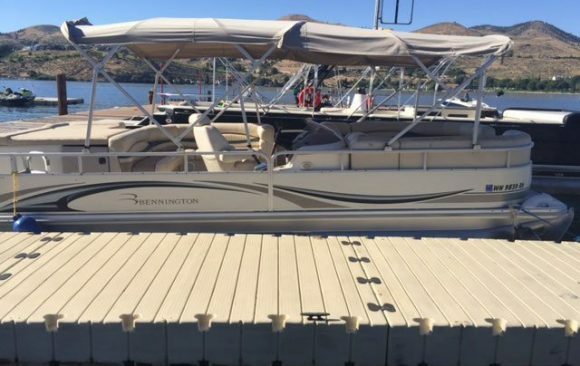 Additionally, the twin-pontoon design allows for a larger deck area, configurable for all sort of activities from watersports to fishing to hosting large parties. 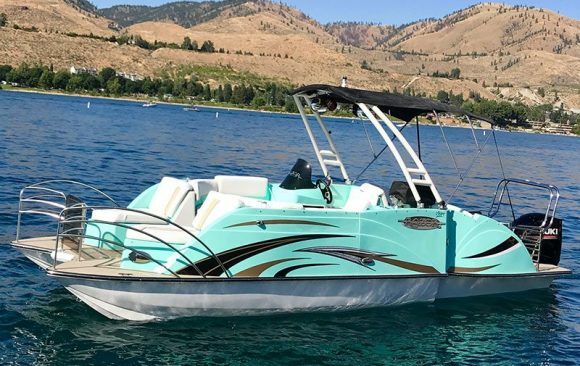 There are all sort of watersports and leisure activities to indulge in on beautiful Lake Chelan, andwe know you have many options when it comes to boat rentals. 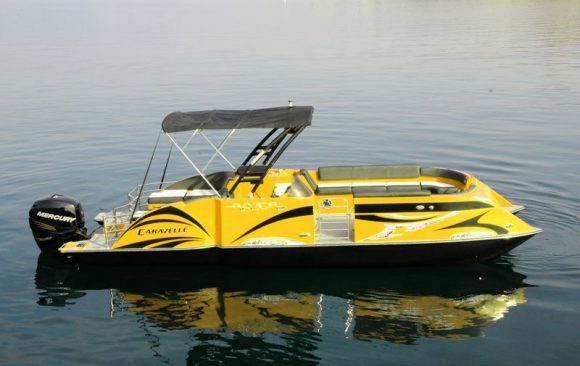 But when it comes to pontoon rentals, Chelan Parasail & Watersports is your one-stop shop. 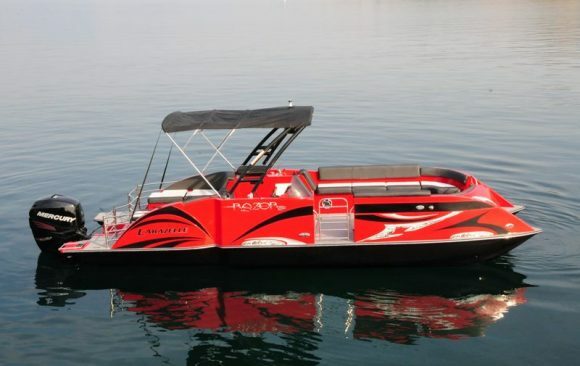 Come by and see why we’ve taken to these boats in a big way; they’re a ton of fun and guaranteed crowd-pleasers.